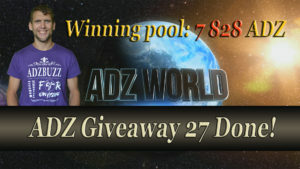 ADZ World’s own ADZ Airdrop where you can earn adzcoins by completing simple tasks. Rewards can go up to 20 ADZ for one task. What to do and how to participate? There are special rewards with certain videos. Refer to a specif video for the special reward amounts. Watch the video for step by step process how to take part in ADZ World’s ADZ Airdrop and earn up to 70 ADZ every week. NB! 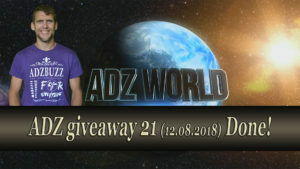 If you don’t want to miss new giveaways and live broadcasts, you are more than welcome to join ADZ Giveaway’s Telegram Channel. No chatting, only announcements 🙂 so feel free to leave notifications on and get new announcements straight to your smartphone. After you have liked and/or commented go to this post and write “liked” and/or “commented”. To share the post in social media, go to this link and share from there as you will have your own ADZbuzz affiliate link attached to it. To share the post in social media, use the same link as there is no adz.2freedom.eu article with that video. 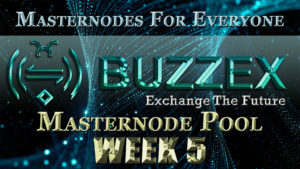 This video has increased rewards, check the post in ADZbuzz blog to know the exact rewards.